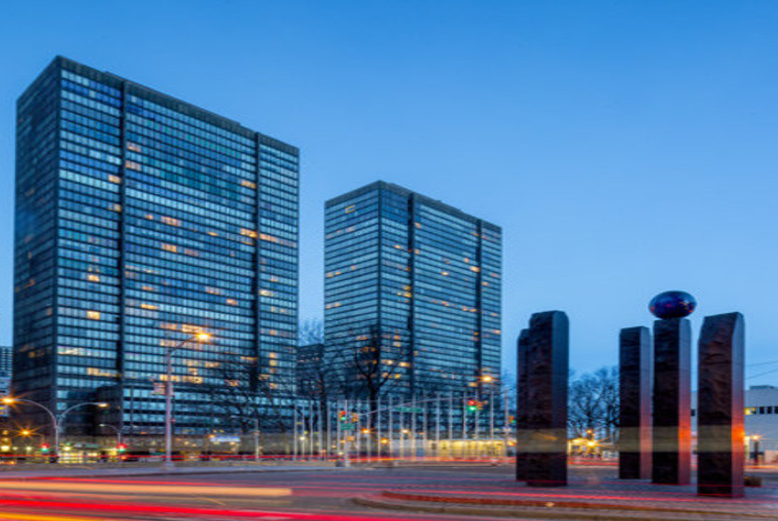 866 UN Plaza in New York spans a full city block with 360-degree views including the United Nations campus and the Secretariat Building, as well as the permanently protected vistas over the East River and beyond. Designed by architects Oscar Niemeyer Le Corbusier Harrison & Abramovitz, the 866 UN Plaza building is the only commercial building east of First Avenue. Upon the subdivision of this iconic structure, System Property purchased the retail and parking condominium facilities in the Building. System owns an asset that has strong retail and parking demand in a highly desirable district. The 336 residential condominiums that sit atop the retail and parking facility generate additional demand, and were called home by some of the most iconic figures in America, including the likes of author Truman Capote, Johnny Carson, actor Yul Brynner and news anchor Walter Cronkite.